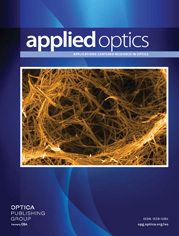 The authors are with the Optics and Fluid Dynamics Department, Risø National Laboratory, P.O. Box 49, DK-4000 Roskilde, Denmark. We demonstrate the use of a phase-only liquid-crystal spatial light modulator (SLM) for polarization-controlled rotation and alignment of an array of optically trapped birefringent particles. A collimated beam incident upon a two-dimensional lenslet array yields multiple foci, scaled to produce optical gradient traps with efficient three-dimensional trapping potentials. The state of polarization of each trapping beam is encoded by the SLM, which acts as a matrix of wave plates with computer-controlled phase retardations. Control of the rotation frequency and alignment direction of the particles is achieved by the transfer of tunable photon spin angular momentum.